The internal constituents of the transmission of Maitriyana are not only the analytical existential meditation, with its methods of sitting contemplation (zazen) and the use of the paradoxical dialectic (koan), but also the aspect of the bond between the apprentice and the spiritual master along with the mutual support of the Commune (Sangha) as a form of external dynamism. This implies that the libertarian meditation, as the vision of a Pure Land or Kingdom of Heavens, is the extension of the awakened mind (bodhicitta) within the social field. The Zen Mystic Christianity, then, considers the problem of the legitimacy and authenticity of considering the Spirituality only as the knowledge and experience of the institutions of the Buddha-Dharma, omitting the connection with a Free and Enlightened Being (Arhat-Bodhisattva) and his revolutionary movement for the Salvation of the World. Thus, the vision of Maitriyana postulates a Spirituality composed of an articulation of Psychology-Philosophy-Politics (Buddha-Dharma-Sangha) being the deeper and the broader Truth that the subject can obtain in his Way towards Wholeness and Awakening (Bodhi). The structure and tradition of the lineage are necessary, but do not automatically ensure the spiritual authenticity and veracity of the apprentice, since the dialogue with other traditions along with the pursuit of the world transformation is a vital dimension of the spiritual transmission. Zen Mystic Christianity is a practice, so its Purpose (Dharma) is located in the world and not in a metaphysical and super earthly dimension. Certainly the Maitriyana is totally separated from both the religious Discourse and the materialist Discourse, rather positioning itself as a countercultural or transcultural Middle Way. Thus, the Discourse of the Spiritual Master functions as a model of transformation of the culture and of the world. According to the Free and Enlightened Being (Arhat-Bodhisattva), the true mystical transmission should not be a mere imitation of religious rituals, because it supposes something new. In this sense, Zen Mystic Christianity is faithful to the original spirit of the sapiential sources of Gautama and Jesus, at the same time which it supposes the vitality and dynamism of a creative and innovative transmission. Consequently, the Maitriyana uses the great discoveries that come from the Psychoanalysis, Existentialism and Socialism, in order to produce the Cure (Nirvana) from the evils of the world, such as war, injustice, ignorance and pollution. Zen Mystic Christianity is both an ethical therapy as a revolutionary action in the world, pointing to a spiritual framework for the analytical- existential model and the libertarian vision. In Maitriyana, Metapsychology and the therapy of Liberation are important constituent elements of the spiritual counterculture, transforming the lifestyle of the subject by means of a poetic language and a dialectic-paradoxical logic. Therefore, Spirituality goes beyond the mere clinic psychotherapy, producing the metapsychological overcoming of the Ego, the metaphilosophical transcendence of dualism and the metapolitical revolution of materialism. While the clinical psychotherapy only reinforces the Ego and adapts the psychism to neurotic mundanity, the analytical-existential contemplation promotes the Awakening (Bodhi) through the awareness of the intrinsic Freedom of the Self. The Cure (Nirvana) is then the self-realization of the True Being, as Emptiness. Zen Mystic Christianity is a practice that leads to the evanescence of frustration (dukkha) by means of the suppression of narcissism, individualism and consumerism. While the spiritual master maintains a direct contact with the mysteries of life, like darkness and death, both religion and the clinical psychotherapy are dogmas which maintain dependence, control and manipulation. Thus the Maitriyana is served by disciplines such as Psychoanalysis and Transpersonalism to rebuild an Analytical-Existential-Libertarian (Buddha-Dharma-Sangha) Discourse, able to convert religion into Spirituality and psychotherapy into Healing. Zen Mystic Christianity is metatherapeutic, being a healing art which leads to the analytical integration and the existential wellbeing. But its Purpose (Dharma) is to confront the transcendental questions of life, challenging the apprentice to enter into the obscure experience of Emptiness. The Maitriyana is a calling in order that the subject learns to let himself go, since through this death of the Ego is that the spiritual resurrection occurs and the true life happens. Zen Mystic Christianity is a hard and demanding practice, but only humanity will be able to ethically resolve the war, alleviate poverty, transform the ignorance and sufficiently address pollution through its utopian vision. The Maitriyana then reveals what is the Way for the evolution of humanity, showing that the self-emptying of attachment, greed and hatred leads to the Ascension of a daily spiritual way of living. In this sense, the Zen Mystic Christianity is very rich in its guidelines and orientations to both the inner life as for the social links, teaching that Spirituality is a way of being-in-the-world but without Ego. The apprentice acquires sensitivity and awareness of the complexity of existence by means of a work which goes beyond the personal identity, so a psychological, philosophical and sociological knowledge is needed in order to understand the way to transform the psyche and society. As the Free and Enlightened Being (Arhat-Bodhisattva) is not omniscient, he continues learning day by day in order to be competent in the disciplinary fields that point to the pursuit of Liberation and Salvation of the human being. The Maitriyana helps the subject to heal itself from the wounds and unconscious patterns of repetition (karma) of the past, religating the mind to the experience of the present after the narcissistic tendencies of ordinary and normal consciousness have vanished through the analytical-existential meditation. The True contemplative practice solves the psychological problems to show them as an illusion, understanding that the Ego is structurally a form or feature of psychic immaturity. In this sense, Awakening (Bodhi) of the True Being is the event of Nothingness and Freedom, which Cures (Nirvana) the mind of every pathological character. Zen Mystic Christianity establishes a correlation between holiness and mental health, since someone who is psychologically ill can not satisfactorily perform as a spiritual master. Certainly a Free and Enlightened Being (Arhat-Bodhisattva) may suffer some physical ailment, while Awakening (Bodhi) does not override the finitude and impermanence of the human condition, but he has been stripped from the attachment and the unconscious jouissance to suffering. The Cure (Nirvana) from repetition (karma) allows the apprentice to embrace the traumatic features of the Real with happiness and gratitude, since the subject who has been released, experiences dissatisfaction, impermanence and insubstantiality as that which give value and importance to the here and now. In Maitriyana there is mature faith and confidence between the apprentice and the spiritual master, so this coexistence frees the first one from any dependence. Correspondingly, the libertarian Commune (Sangha) also contributes to the subject by perpetuating healthy models of behavior and relationships, at the same it constitutes by itself a utopian society which seeks the Liberation and Awakening (Bodhi) of the world. The libertarian meditation and the analytical-existential practice of the Zen Mystic Christianity help the apprentices to lead productive lives and be open to the change of the world. Frequently, sitting contemplation (zazen) and paradoxical dialectic (koan) become the only practice of the subject; therefore the Maitriyana shows that the profession and the family life are also a practice for the Free and Enlightened Being (Arhat-Bodhisattva). The presence of the openness, affection, glee and good humor in the libertarian Commune (Sangha) is a sign that this is a healthy social organization. The libertarian meditation, which is the utopian vision and the revolutionary work for a better world, constitutes the criterion of the health of the Commune (Sangha) and also the criterion of the Cure (Nirvana) of the apprentice. Spirituality entails a very rooted sense of self-realization and self-transcendence, so the Zen Mystic Christianity intensifies realistic ideals which propitiate a return to the world. Instead of running away from the contact with others in pursuit of the experience of emptiness or absolute subjectivity, the spiritual master indicates it is better to have a conscience without an Ego in the everyday life. This is where Psychoanalysis and Transpersonalism appear as internal movements of Maitriyana, by transmitting the ethics of Detachment and the absence of the sense of Ego from pathological ordinary mind. Actually, the problem of the subject who is neurotic, psychotic or perverse is that it is imprisoned in the past or in the future, unable to be fully in the present. Thus, the Freedom and the spontaneity of Sublimation (Nirodh) is the only way to overcome the frustration (dukkha), so the Zen Mystic Christianity has the resources to help all human beings. Poetic language and the dialectical-paradoxical logic of the contemplative practice of the Maitriyana can improve the health situation of any human being, teaching the apprentice how the religion transmits illusions and how the medicine creates sick people. But on the other hand, the Awakening (Bodhi) is not a panacea, while the Free and Enlightened Being (Arhat-Bodhisattva) is exposed to the problems derived from the Purpose (Dharma) of saving the world. In accordance with the Master Vimalakirti, Zen Mystic Christianity affirms that suffering or the illness of an Awakened Being (Buddha) or Savior (Christ) comes from his Spiritual Love or Compassion towards all beings. Searching for the Cure (Nirvana) of humanity is a Way that should be transmitted with much patience and wisdom, showing the world that the root of the problems of the world is a spiritual malaise. The spiritual master is then the foremost expert to show the steps towards universal Salvation and Awakening (Bodhi). The subject has two basic unconscious tendencies: the life pulsion and the death pulsion. But the Desire of the Other (Atman) underlies to both, which is the pursuit of completeness and Wholeness, that is, the Desire to Be God. In this way the Truth of Emptiness and the unknowability of the Everything (Anatman) is a traumatic fact for the apprentice, although it frees the consciousness of all greed or longing for gratification, acceptance and approval. The libertarian meditation sublimates Desire, directing it towards the light, hope, beauty and Love. Thus, the wisdom of compassion vanishes any kind of jealousy or violence that may exist in the subject, by reconciling (maitri) him with the fact that the attachment (tanha) does not lead to the satisfaction. For the Maitriyana, Gautama and Jesus were avatars of a Libertarian Spirituality and not mere founders of a religion. Zen Mystic Christianity is indeed a singular and extraordinary Spirituality opening its doors to all human beings. In Maitriyana, sitting contemplation (zazen) and paradoxical dialectic (koan) are practices available to anyone. However, the libertarian meditation requires not only the adoption of analytical and existential principles, but also it requires that the apprentice understands that receiving the spiritual transmission entails becoming an agent of change and revolution in the world. This implies, for example, that the subject detaches from the religious to be opened to the spiritual, disregarding from any ritual to be positioned in a libertarian style of life which seeks both the Cure (Nirvana) of the subject as the Awakening (Bodhi) of the society. In accordance with Yamada Koun Roshi, the Free and Enlightened Being (Arhat-Bodhisattva) states that the Zen Mystic Christianity is like the taste of coffee, as it has the same taste for any human being. The Cure (Nirvana) consists an emptying of all religiosity, ideology, social institutionalism and narcissistic psychic structure, freeing the Being of the apprentice from all types of oppression or alienation. The Maitriyana is a Spiritual Discourse which provides an analytical-existential framework and a libertarian belonging (Buddha-Dharma-Sangha), from which the subject can continue to the practice towards the Salvation and Awakening (Bodhi) of both himself as well as the others. The apprentice does not need the religion to reach the Cure (Nirvana), as the own Awakening (Bodhi) goes beyond any religion and institution. However, the spiritual master teaches that if the religions are converted into spiritualities they can perform a transcendental function within the Project for Transpersonalisation and Liberation of all humanity. Thus, Zen Mystic Christianity represents the next evolutionary stage of a religion converted into Spirituality. The Maitriyana makes a distinction between the religious subject and the spiritual master, because while the first belongs to an institution and to a system of beliefs, codes, symbols, authorities and ministerial structures, the second one only pays tribute to the contemplative experience, the hope of the Cure (Nirvana), the confidence in the spiritual teachings and the surrender to the neighbour. The Free and Enlightened Being (Arhat-Bodhisattva) asserts that religion has the mere goal of answering metaphysical questions while the Spirituality is a process of Awakening (Bodhi) in the here and now. In this way Zen Mystic Christianity proposes an alternative to the religious faith: the perennial tradition of Liberation. Instead of building temples, revealed works, theological systems, social institutions, customs, myths and moral codes, the spiritual master follows the orientation or answer of his Self, which is connected with the wisdom of the whole Universe, reflecting the capability to feel the fellow man which is proper to the transcendent and supramundane dimension of consciousness. Spirituality transcends the religious faith, based on the peak knowledge (Satori) produced by Sublimation (Nirodh) of Desire (Kama), which leads the apprentice towards the field of Truth and the Responsibility about the own existence. This confidence in the Purpose (Dharma) enables the subject being possessed by the Holy Spirit of kindness and compassion, which ultimately is the final wisdom of life. The Maitriyana asserts that the core of religion is the obsessive repetition of rituals and illusions (karma-samsara), while the Spirituality is an unwavering passion for the Truth. Unlike the religion and its fixed and moral sense of reality, Zen Mystic Christianity says that the Universe has no determined meaning. This absolute and cosmic Emptiness is the basis of the free will of the subject, which provides ethical satisfaction and the experience of the peak knowledge (Satori) of the Real. The Fidelity to the Desire to Be Awakened (Buddha), the confidence towards the Purpose (Dharma) and the surrender to the social and Communitarian (Sangha) reality are what Maitriyana termed as Spirituality at the same time they lead to the practice of the libertarian meditation of kindness and compassion. The Free and Enlightened Being (Arhat-Bodhisattva) does not seek metaphysical questions, because he belongs to the dimension of life and the world, being in a state of consciousness linked to the Middle Way and that it has been defined as a plateau experience of values such as happiness, beauty and Spiritual Love. The contemplative experience of the spiritual values opens the apprentice to the mystery of life, leading him up to the limit of the ordinary reasoning and thinking to enter within the field of the peak Knowledge (Satori). Spirituality, understood as a Way of transformation of the subject to access to the Truth, it transcends the frontiers of the moral and of what is known, as it delves into the ethics and the unknown. This is because the basis of the existence is a mystery, that is, a Dynamic Ground of Emptiness and Openness in which all beings co participate. According to Zen Mystic Christianity this experience of the Empty Being is the Implicate Totality or the all embracing basis that the spiritual master often defines as Grace. By encompassing a reality beyond metaphysics and nihilism, the Free and Enlightened Being (Arhat-Bodhisattva) is characterized by performing a practice of the absurd and the paradoxical dialectic (koan) which intertwines with the libertarian meditation forming the nature of spiritual consciousness. Thus the Maitriyana exhorts: Not to pray, but to work, because everything depends on you. Through the revolutionary act of the sitting contemplation (zazen) all the polarities remain unified and all paradoxes may be self-realized. Zen Mystic Christianity is the finding of a Way that teaches the apprentice that being a spiritual master does not imply belonging to a religion, but to maintain a close connection to the Totality without the need for recourse to a system of rituals. While the religious tradition is merely a faith in a ritualistic and symbolic representation of the metaphysical which articulates dualist moral codes, the spiritual tradition of Maitriyana is the trust and the reaffirmation of the experience of the tremendous mystery of the existence and the search for the Truth , traversing the dark valley of the meaninglessness of life. On the basis of an analytical framework and an existentialist orientation, Zen Mystic Christianity is a libertarian point of reference, by articulating the hope and the vision of a better world for all human beings through its perennial tradition. According to Maitriyana, Gautama and Jesus have laid the foundation of this Pure Land or Kingdom of Heavens, by calling for the Engagement and the surrender to a higher and amplified state of consciousness (H-ASC) capable of Curing (Nirvana) the mind from the suffering generated by the evil force of the Ego. Since every component of the reality is essentially unsatisfactory, impermanent and insubstantial, each religious tradition is incomplete and none of them deplete the spiritual consciousness or may represent the Truth in its entirety. From the libertarian perspective of the Zen Mystic Christianity, every religion is partial and imperfect, involving a history of aberration, darkness, oppression and evil, being an institution which depends on the forces of conservatism, competition, obsession and paranoia. But in so far as the Awakening (Bodhi) is the evolution of humanity, the Free and Enlightened Being (Arhat-Bodhisattva) can detach from the institutions and metaphysical structures. The Maitriyana then considers that the libertarian community (Sangha) of apprentices does not need the dangerous illusions of religion, being there where the world should be routed: the Pure and Perennial Spirituality. As a result, Zen Mystic Christianity is spiritual or is not, by teaching the subject to achieve the Cure (Nirvana) in the daily life. The whole teaching of the spiritual master relates to the question of the incognizable Being and the profound mystery of the existence which is beyond the control and manipulation of the Ego. There have been two extreme tendencies in the world: metaphysics and nihilism. While the former is represented by the religious Discourse, the second is represented by the materialist Discourse. Thus, the Maitriyana Spirituality, following the teachings of Gautama and Jesus, it positions itself as a Middle Path between and above both ends. Zen Mystic Christianity is then a third way that transcends both the sectarian fundamentalism and the irreligious atheism. The life of the Free and Enlightened Being (Arhat-Bodhisattva) proves that it is not necessary to be religious to practice meditation, since the Awakening (Bodhi) is not a religious conversion but it is a Gnostic transformation. For Maitriyana, the Buddhist Spirituality is the supreme hope of Salvation and the Evolution of humanity. However, in so far as Catholics and Evangelicals are the majority group, in the Zen Mystic Christianity resides the future of the buddhic or spiritual conversion of humanity. In a predictably Christian world, the revolutionary work of the spiritual master should be to guide the peoples through the libertarian teachings of Gautama and Jesus, providing a feeling and a contemplative behavior against the problems that the world needs to resolve in order to survive and pass on to the next evolutionary phase. Whether or not he belongs to a religion, the apprentice who wishes to venture into the Way towards the Cure (Nirvana) has to access to the perennial tradition of Spirituality, detaching himself from the metaphysical language and the symbolic rites. In order to genuinely practice Maitriyana, the religious subject -Catholic or Evangelical- has cross to the tradition and vision of Zen Mystic Christianity. The Awakening (Bodhi) is an indissociable experience of the revolutionary framework of Gautama and Jesus; therefore it is separated from the Religious Discourse. Indeed, the Spirituality has a distinct Discourse: the Analytic-Existential-Libertarian (Buddha-Dharma-Sangha). That is the fruitful approach of Maitriyana, showing how the teachings of a Saviour (Christ) and an Awakened Being (Buddha) are one and they point in the same direction: Spiritual Love. Despite the fact that the religious traditions and their ritual symbols differ from each other, the Free and Enlightened Being (Arhat-Bodhisattva) has the contemplative ability to comprehend their similarities and to perform a new creation. An apprentice of libertarian meditation should learn to let go his stereotypes, to let his Ego die and thus be able to return to life. The spiritual master of Maitriyana, by means of a paradoxical dialectic logic (koan) teaches that the religious subject -Catholic or Evangelical- should be a Buddhist to truly become a Christian, since someone who only has faith he will never be able to realize the reach and depth of the mission of Jesus. Paradoxically, Zen Mystic Christianity teaches that without the contemplative practice and wisdom of Gautama it cannot be possible to appreciate the spiritual wealth of Jesus. Thus the Maitriyana is the best space to learn from the others and perform an interreligious and ecumenical dialogue. The creativity of the spiritual master arises from this type of interaction. For the apprentice, the libertarian meditation should not be about the mere faith or rational knowledge, but rather being a genuine vessel of the life Force, existing in and for-the-other. In accordance with the great anarchist thinkers, Zen Mystic Christianity asserts that the subject can only be fully released if the others also recognize and reach that Freedom. Thus, the Maitriyana reveals to the Christian the Spirituality, showing him that the Salvation of humanity is an essentially buddhic Project (Dharma). The practice of sitting contemplation (zazen) along with the paradoxical dialectic (koan) goes beyond the intellectual comprehension, overcoming the moral and emotional problems of the psychism. This favors the spiritual development of the apprentice because it transcends even the mere psychological growth associated with the biological stages. Actually, the Cure (Nirvana) is not a stage linked to the maturity, as rather it is the psychic structure of Sublimation (Nirodh) to which the subject may access at any time of life by means of a psychic transformation capable of accepting the Emptiness-of-Meaning of the Universe. In this manner, the Free and Enlightened Being (Arhat-Bodhisattva) has fullness but never completeness. The Sanctity or spiritual conversion is an endless succession of an apprenticeship that it involves shifting the Ego and its emotional and behavioral patterns towards the adoption of the True Self -which is the Nothingness- as a centre of consciousness. The apprentice has to understand and respect that the religious language and the symbolic rites are related to the stages of the child growth, while the libertarian meditative comprehension and the ethical teachings offer an analytic-existential framework that helps the subject to undertake an Awakening (Bodhi) or Spiritual Evolution. As it is established in Zen Mystic Christianity, the conversion of the religion into Spirituality supposes the pass from the care of the Paternal God to the companionship of the Empty God. Accordingly, the Maitriyana understands that spirituality is the conclusion or the ultimate destination of the faith, which it should progress from the construction of an infantile image of the reality towards the comprehension of Freedom and Responsibility about the proper life. While the religious faith generates dependence on a satisfactory, permanent and substantial meaning, instead, the contemplative practice produces a Commitment with the core of the spiritual values that unify the life. The spiritual master proposes that faith is based on an archetypal predisposition of trust and loyalty to the figure of the transindividual Other (Atman) which arises from the relationship of the baby with his parents. This primordial faith is rudimentary and childish, so it represses the anxiety of the separation and structures the emotions and perceptions through fantasy images as the mythological tales and the dualistic moral. At an interpersonal level, the faith defines the role of the Ego, making it conformist with the society; therefore it adapts the subjectivity to the cultural requirements and demands of the other. In contrast, when the apprentice practices libertarian meditation he critically examines the lack in systems, by rejecting the external authority of the religious institutions towards a reinterpretation of every symbol and ritual. This process of demythologization allows the subject to acquire choice and responsibility over his existence, avoiding the self deception of trusting in the control of the Ego and in the intellectual capabilities. The contemplative practice transcends the faith because it is an overall view, by developing the consciousness through a dialectical reason and a paradoxical logic which can address the Truth. The apprentice should be open to other traditions, noticing that the Real is a perennial substratum that it is within the reach of all humanity and it is not only available to a single community. By acquiring the capability to be totally detached from the religious symbolic expressions by recognizing their relativity and inadequacy, the Free and Enlightened Being (Arhat-Bodhisattva) is characterized by a universalizing wisdom which is the product of the decentring of the Ego, of the self-emptying of stereotypes and the detachment from repetition. Therefore, the spiritual master is committed to the love-in-the-world, teaching the humanity how to reach peace, social justice, knowledge and ecology. The Cure (Nirvana) is a transformation that entails the de-identification of the Ego and the centring on the True Being, which is the Divinity. Zen Mystic Christianity describes the subject who practices libertarian meditation as someone who has a calm and equanimous consciousness, identifying him with the good of all human beings, so he decides not to commit any atrocity or being seduced by totalitarianisms. Thus, the contemplative apprentice has a disloyalty to the mundane provisions of Power and Social Discourse, by disobeying any orders which are contrary to Spirituality. Unlike religious faith, the libertarian meditation has a passionate commitment to the others at the same time that it becomes detached from all social ideology. When a religious subject fully delves into the Maitriyana something miraculous happens, because even if the symbolic rituals and the childish beliefs of Catholicism and Evangelism are abandoned, certainly the true teachings of Jesus are discovered. Paradoxically, only when the apprentice explores in the vision of Gautama it is when he arrives at the very heart of Christianity. Instead of being a mixture of Buddhism with Catholicism or Evangelism, the Zen Mystic Christianity is a Way to be truly Christian and profoundly spiritual. Therefore, the event of the Awakening (Bodhi), does not only converts the apprentice into a Free and Enlightened Being (Arhat-Bodhisattva), but also that it authenticates the amplified and higher state of consciousness (A-HSC) of a Saviour (Christ). In Maitriyana, when the spiritual master teaches he not only uses the Buddhist language but also resorts to the cases of Cure (Nirvana) which can be drawn from the Christian tradition. In this sense, Zen Mystic Christianity goes beyond Catholicism and evangelism, by establishing a dialectical relationship with Buddhism to take root in the Spirituality of Gautama and Jesus. Ultimately the Maitriyana arises and it is grounded on the profound experience of the Awakening (Bodhi) of the own subject, which is what it gives life to Spirituality. However, Zen Mystic Christianity is not a dual practice or a religious bilingualism, but a transformation of the ordinary mental schemes and the Evanescence (Nirvana) of the cultural system of symbols. The meaning or nature of the sitting contemplation (zazen) and the paradoxical dialectic (koan) is the Detachment, which is the experience of letting go and letting die the grasping both of the Ego and the religiosity, keeping itself in the empty root of the Being and adopting the ethics of Gautama and Jesus as a home. The analogy of the dual practice or the religious bilingualism is not appropriate for the Maitriyana, a movement that not only seeks mere parallels and equivalencies but actually it points to understand the concepts in a contemporary context. Starting from the comprehension of the libertarian meditation, the apprentice can displace his own mental frame from the religiosity towards the Spirituality, which is a lifestyle in direct contact with the Wholeness and Emptiness. To truly and genuinely practice the Zen Mystic Christianity it is necessary that the subject abandons his religiosity, letting his Ego die in order to be in imitation of Christ, which in Buddhist language means experiencing the Cure (Nirvana). It is not necessary then to worship or to idolize Gautama and Jesus, because the apprentice should only follow the contemplative teachings of these great Free and Enlightened Beings (Arhats-Bodhisattvas), trying to access to the same amplified and higher state of consciousness (A-HSC) to which they have arrived. But this requires a mature libertarian meditation, being faithful solely to the Awakening (Bodhi) and not to a specific church. For the Maitriyana, the mystery of the Awakened Being (Buddha) is not greater than the mystery revealed in Jesus, but the Savior (Christ) cannot be more than what is revealed in Gautama. To follow the Zen Mystic Christianity is let the Ego die and get into the mysterious mind of the Savior (Christ), which ceases to be an object of worship to become a subject of emulation. In the Christic Mind the apprentice may meet face to face with the Awakened Being (Buddha) and the spiritual masters, walking from their hands towards the Salvation of the world. The Maitriyana clarifies that the state of the Awakened Being (Buddha) is really the True Self, meaning, the formless Emptiness which lies in the depth of the subject. But given that this void constitutes the implicate Totality of the Cosmos, the ultimate nature of all things is the Awakened Mind (Buddha). Thus, the Zen Mystic Christianity asserts that Jesus was an Awakened Being (Buddha), simultaneously recognizing that the Saviour Being (Christ) is not only the True Self but also he is the very nature of the universal divinity. When the apprentice undertakes the search for the Cure (Nirvana) he comes into that multiple mystery which implies the dialectical joining between Gautama and Jesus. By freeing himself from literalism and the religious symbology, the subject can carry out the contemplative act in which the Whole Universe congregates. It is starting from this Awakening (Bodhi) is that the Maitriyana discovers Jesus as an Awakened Being (Buddha) and Gautama as a Saviour (Christ). Taking refuge in the Zen Mystic Christianity is definitely to root and connect with an Analytical-Existential-Libertarian Spirituality (Buddha-Dharma-Sangha) that transcends all the religions of history, religating the apprentice with all the ancient Prophets and the Free and Enlightened Beings (Arhats-Bodhisattvas). Thus the Maitriyana can be defined as the maximum show of gratitude to the spiritual treasures, by convening the human being to return to his True Self, which in turn is the original and transpersonal face of the Cosmos. The genuine face of Maitriyana is a call to the ethical transformation of humanity, thus the practice of the spiritual master has so much to do with peace, social justice, education and ecology. Although Zen Mystic Christianity is devoid of morality, it keeps a deep relationship with the ethics and the revolutionary action in the world. For this reason, the Free and Enlightened Being (Arhat-Bodhisattva) affirms that if the Cure (Nirvana) does not link to ethical matters and with the Spiritual Love towards others, then the Awakening (Bodhi) is something irrelevant. If the Cure (Nirvana) is indissociably connected to an Ethical Eightfold Path, then the Awakening (Bodhi) is an ethical action for one, for the others and for the Universe. In this sense, the Maitriyana reintroduces the experience of the Empty-in-history, by producing a mediation for the apprentice with the events in the world and also a reconciliation (maitri) of the subject with the absolute Nothing waiting to be artistically self-realized as the Self. Zen Mystic Christianity happens in a meaningful stage of the history of humanity, since the very same survival and Salvation of the world depends on the ethical matters of vital importance for all the communities such as resolving the ills of war, poverty, ignorance and the contamination. The history of the religions has been very negative when it comes to dealing with the ethical matters of a global nature, characterizing themselves by a transcendent eternalism, an insurmountable spatiotemporal order, a philosophical idealism, a dualistic moral, a metaphysical determinism, a degradation of the woman and a strengthening of the Ego. Instead, the Spirituality of Maitriyana asserts that the historical progress in the space and time is something nonexistent, since the reality is imperfect, impermanent and insubstantial. This means that the social order can be completely transformed in a constant form, showing that the approach of the spiritual master is philosophically realistic and that the evil is something that can only be fully combated by a mind which has reached the Cure (Nirvana) and that it perceives how the needs and conflicts in the world can be effectively solved. Zen Mystic Christianity is not only prone to liberating the apprentice from the repetition (karma), but it also criticizes the social passivity and delegitimizes the status quo. This implies, for example, being contestatory against the place occupied by the feminine gender within the religious and governmental institutions. The Free and Enlightened Being (Arhat-Bodhisattva) promotes then the insubordination of the oppressed classes and peoples, declaring himself openly against the dominant institutional Power. Since it is a subject who has transcended the illusory experience of the Ego, the spiritual master finds a really sustainable basis in the Emptiness-of-Being for the spiritual values, being able to fight for the human rights and for the hope of a better world through the modality of the libertarian meditation. The Maitriyana is a Spirituality that performs a revolutionary criticism about the social and historical reality, embarking on the reconstruction of an Analytic-Existential-Libertarian Discourse (Buddha-Dharma-Sangha) capable of help to generate the Great Awakening (Bodhi) of humanity. The type of Liberation (Moksha) and Cure (Nirvana) that is pursued by the Zen Mystic Christianity is the result of Mindfulness, Serenity, Detachment and Righteousness, basing itself on the prophetic voice of Gautama and Jesus in order to build a Pure Land or Kingdom of Heavens. All genuine Free and Enlightened Being (Arhat-Bodhisattva) propitiates socialist reforms in favor of pacifism, social justice, education and ecological harmony (wa), since he has renounced the temptations from the materialistic Power. In this way, the matters about what is the best way to establish a social reform have a lot of repercussion for the Maitriyana, condemning the war, economic exploitation and classism. The spiritual master then combats the attachment, greed and the oppression both in the inside world and the outside world, while there is no difference between them. Zen Mystic Christianity is a form of peaceful action facing the most repressive, savage and brutal societies. Religion historically has been part of these oppressive social structures, allying with the upper class to maintain the status quo. Instead, the Free and Enlightened Being (Arhat-Bodhisattva) by means of the contemplative practice, is the incarnation of an element of change and revolution in the world, being a systemic anomaly against the power of the governors. The Spirituality utilizes the libertarian meditation to produce the dealienation of the people, by promoting the transcendence of selfishness through the Awakening (Bodhi) of the Empty Being (Sunyasattva). The spiritual master teaches the apprentice to overcome the dualism with the others, so his quest for equality becomes him an archetype of the human rights. The Maitriyana then seeks the protection of the world through the promotion of Spirituality, since the interest in the Salvation of humanity is identical to the Purpose (Dharma) of the Free and Enlightened Being (Arhat-Bodhisattva). Therefore, Zen Mystic Christianity considers to Gautama and Jesus as models of an Awakened and Saviour Being (Buddha-Christ). The sitting contemplation (zazen) and the paradoxical dialectic (koan) are forms which help the subject to self-empty himself from any ideology, nationalism and imperialism, incorporating an ethics of the Detachment that puts itself at the service of the revolution and maintaining a critical attitude against the feudal and pseudo democratic structures of the State and culture. The Maitriyana asserts then that the Cure (Nirvana) of the consciousness is the perfect base to practice a libertarian meditation capable of evanescing the illusions of society and change the world. Given that the ideas and fantasies (Maya) of the mind are a function of the historical social order, determining what can perceive the consciousness, the spiritual master teaches the apprentice a free and spontaneous way of acting, by establishing the Peak Knowledge (Satori) as a centre of the consciousness and of the action facing the conditionings of social structures. The Zen Mystic Christianity feels fascinated by the activity of the Self, which represents an analytical existential nature of a spontaneous and totalising movement by which the subject finds liberated from the restrictions and plannings of the Ego, acting and choosing without a dualist thought. Sitting contemplation (zazen) and paradoxical dialectic (koan) train the apprentice in this pure and artistic activity which is employed in the life and death. Such an inspiring activity of the True Being is considered by Maitriyana as the self-realization of Being Nothingness (Muga), being an amplified and higher state of consciousness (A-HSC) in which the subject acts without the Ego as the centre of the consciousness, leaving that the Emptiness occupies this place to spiritually being to the maximum of all its possibilities. This forgetfulness of the Ego simultaneously is an openness (sunyata) to the others, giving the apprentice an understanding that he should be one with his work or praxis in the world. The clear expression of the highest buddhic wisdom of the Zen Mystic Christianity is the unity of Love and Work. Unlike the religious subject, the Free and Enlightened Being (Arhat-Bodhisattva) is not blind, closed or immoral, because anyone who has attained the Awakening (Bodhi) is the living incarnation of a higher ethics to the antinomies of the social moral. In accordance with Nietzsche, the Maitriyana considers the spiritual master as the advent of the superhuman, by transcending the intellectualism to erect a life style that is evolved and nourished by the critical and experiential wisdom. Zen Mystic Christianity is then a way to offer pacific resistance to the religious and state Power, positioning itself against the militarism and intolerance, since it harmonises Freedom with the Responsibility regarding the good of the others. For Maitriyana, it is possible that changes may appear in the world if the humanity begins to be inspired by the values and ideals of Spirituality. The articulation of Psychoanalysis, Existentialism and Socialism in a single revolutionary Discourse is an extraordinary signal of this coming change, but certainly the radical transformation of humanity could not occur without the remarkable alliance of the Zen Mystic Christianity, which reconfigures and finds a new rooting of the libertarian vision in the thought of Gautama and Jesus. Given that the sitting contemplation (zazen) and the paradoxical dialectic (koan) can not produce by themselves the transformation neither of Buddhist Spirituality nor of the world, it is fundamental for the apprentice be able to practice libertarian meditation, traversing the social illusion in order to access to the Real and working for a better world. The psychological and internal structures of the subject need to be cured (Nirvana) in the same measure that the social and external structures need a conversion and a revolutionary transformation. If Spirituality is separated from the realities of the world it is a dead Spirituality, a religion, therefore the Maitriyana is an Ethics and a utopian vision. Consistent with Gautama and Jesus, Zen Mystic Christianity is an ethical Spirituality with a deep engagement with the world, since it only promotes the abandonment of selfishness and materialism. In this sense, the Way of Detachment is a renunciation which transcends both the attachment and non-attachment, to both greed and aversion, by enjoying the life at the same time that the ills of society are criticized. The ideal of the Free and Enlightened Being (Arhat-Bodhisattva) stands as a central ethical referent for the Project of the Awakening (Bodhi) of the peoples. This model is not idealistic, because it is something to which it can be accessed in the here and now. The spiritual master is a transformer of the world, so his ethics is rather libertarian and transmoral. The matters of peace, social justice, education and ecology are always present in the Maitriyana, whose dynamics of the transformation of society is the consideration of the equality of the others. Thus, the ethics of the Zen Mystic Christianity is based on the contemplative experience of the inter-existence, which is the true empty face of the apprentice. Although the Free and Enlightened Being (Arhat-Bodhisattva) does not posit a moral according to the State and Religion it certainly possesses an ethics; but it is an ethics of a revolutionary and libertarian nature, by detaching of all perspectives and mundane points of view. The Awakening (Bodhi) is to drop the Ego without negating the world, producing a self-emptying of all morality, religiosity and materialism. This dimension of transcendence, however, lies in the here and now, which is the direct experience of the Truth without the intermediation of the symbol, overcoming both the affirmation and the negation. This essential phase of the Cure (Nirvana) is the Peak Knowledge (Satori) that the morality is not the Spirituality, while the ethics emerged from the libertarian meditation is a direct step towards the compassion and righteousness-in-the-emptiness. That is why the spiritual master prefers to go to hell instead of heaven, because he always has the purpose of helping others. The Maitriyana considers the Spiritual Love as the Grace of the divinity, since the highest merit and virtue is to proclaim and act for the Purpose (Dharma) of saving all beings. Here clearly there is an overcoming of the faith in pursuit of the Awakening (Bodhi) of the Emptiness, the Grace and the transmoral ethics. This Liberation from the domain of the religion enables the subject to be free for the other, being a living manifestation of the Emptiness as Plenitude (Sunyata) and Totality (Mahabindu). The Spirituality, such as it was comprehended by Gautama and Jesus, is being in the world without belonging to it, being a Free and Enlightened Being (Arhat-Bodhisattva) who experiences life and death as Grace and Reconciliation (Maitri) both with himself and with all things in the world. By means of the sitting contemplation (zazen) and the paradoxical dialectic (koan) the apprentice may experience the beauty and goodness that are found in the nucleus of each particle of the Cosmos. The Zen Mystic Christianity considers the Emptiness as the mystery of the Grace; therefore the True Self is the place where this revealing experience happens. For the spiritual master everything is miraculous and all is Grace: even the vision of an herb next to the fence or the way how the river flows. This description indicates the heart of Maitriyana, which can be defined as a Way in order to the subject reaches the Cure (Nirvana) and realizes his original transpersonal face in the eternal present. Therefore this Ethical Spirituality is beyond the religious moral and of the academic knowledge, so the finality of its practice is to help all humanity to achieve the Awakening (Bodhi) of that reality. For the Zen Mystic Christianity, passing from the religious faith to the spiritual engagement implies that the apprentice chooses to live in the dimension of the Infinite Light (Amitabha). Far from being a leap of faith, it comes from the direct experience of the own Being and the existence. In accordance with Dostoievski, the Maitriyana defines that the openness (sunyata) to the Grace is really an openness to the world, by rejecting the enclosure in oneself towards evanescing the evil of society. By considering the neighbour as part of an inter-existence, the subject who practices libertarian meditation perceives the underlying goodness of humanity, being a powerful force which counteracts all the greed, hatred and ignorance. Interexisting implies assuming an ethical responsibility for the situation of the world that transcends the mere guilt. The acceptance of the Emptiness leads the apprentice to the compassionate Love for others. According to Zen Mystic Christianity, the subject can not reach the self realization and self-transcendence by separating himself from the world, while he interexists therewith. Detachment is the ethical way to free oneself from dissatisfaction (dukkha), at the same time that the Cure (Nirvana) of the world is valiantly searched through the contemplation of the Infinite Light (Amitabha). For Maitriyana, accepting and loving the others is the Way towards the Great Awakening (Bodhi) of all humanity, moment from which every individual is free to genuinely be. The Free and Enlightened Being (Arhat-Bodhisattva) receives the neighbour in all its Grace because the transpersonalization happens in response to the call of the world. When the Emptiness-in-Being becomes the center of the consciousness of the apprentice, through the previous displacement of the Ego, the ethical orientation to the Good of the others acts as a spiritual vocation or calling. Thus, the subject becomes spiritual master when he perceives the neighbour as himself. During the libertarian meditation the apprentice experiences the world or humanity as his own original face or as the voice of his heart. In this contemplative practice the others stop appearing as a strange and they are revealed as a gift or an unavoidable call from the Cosmos, interexisting with the subject as a beautiful and kind Companion-of-the-Way. Facing the evils of war, poverty, ignorance and pollution, Maitriyana appeals to the altruistic universal tendency of humanity. By following the life of the Free and Enlightened Beings (Arhats-Bodhisattvas) as a model, the Zen Mystic Christianity helps those in needs independently of any cultural conditioning or promise of moral reward. The spiritual master teaches the apprentice, through the libertarian meditation, that the Redemption is to find the goodness inherent in the human being both in oneself and in the face of the others. Therefore, the neighbour is the authenticity criterion of the Free and Enlightened Being (Arhat-Bodhisattva). The secret of the Self is revealed on the face of others whose sight may come under the form of the spiritual master or in the form of the sufferer subject who needs help, propelling the apprentice to the self-analysis, truthfulness, courage, compassion and forgiveness. The others constitute an unavoidable fact in the existence of the subject, thus the sitting contemplation (zazen) and the paradoxical dialectic (koan) achieve that their presence ceases to be considered as oppressive to be perceived and felt as Grace, call and spiritual vote. In this sense, given the fundamental inter-existence of all the reality, when the apprentice experiences the Cure (Nirvana) he enters through the company of others, which is an access door to the authentic openness (sunyata) of the Cosmos. This is why the loved one occupies a fundamental place in Maitriyana, being an example of how the others may cease to be a stranger to become oneself, entering into the life of the subject and finding his True Self. Libertarian Meditation shows that the call of the other requires a fair and friendly Mindfulness that it is directed both to the individual and to the social reality. The gaze of the Free and Enlightened Being (Arhat-Bodhisattva) shows that the others are not an abstraction, but they are a Real presence, thus the apprentice can make his own existence genuine only when he is moved by the others through the Compassionate attention and Mindfulness. To the Zen Mystic Christianity, Spiritual Love is the Awakening (Bodhi) of the True Self, by emptying the consciousness of the domain of the Ego to open it to the inter-existence and the call of the other. While the ordinary subject converts the others into an object, the spiritual master profoundly contemplates the face of humanity and lets himself be guided by the Compassionate Love. That is the Way of Maitriyana and of the spiritual life. Even though the Way (Tao) of the Free and Enlightened Being (Arhat-Bodhisattva) opens the consciousness to the suffering associated with the tragic dimension of the human condition, it also generates jubilance and ecstasy for being a Force of Good in the world. The apprentice should overcome all the insecurity and uncertainty which lies at the core of life, by avoiding fleeing towards the absolute reassurances of metaphysics and nihilism, to, in this way, be reconciled with the experience of Emptiness which is the vulnerability and defenselessness of Being before the face of the neighbour. Consistent with Dostoievski and Kierkegaard, Zen Mystic Christianity indicates that the Way of the true Salvation and Cure (Nirvana) is found in the Engagement towards the infinite mystery of the Emptiness (Sunyata) and it is found in the Surrender towards others. This is about the actualization of a Wisdom (Prajna) which is authenticated by means of Compassion (Karuna). Free from all cultural conditioning, the spiritual master traverses the darkness of the heart in order to go into the human condition and find himself in the face of others. By means of the libertarian meditation, the Free and Enlightened Being (Arhat-Bodhisattva) is detached from the absolutist and totalitarian tendencies which consume the subject through the clinging for an emotion or idea that is conditioned by the cultural field. This explains the fact that the spiritual master of Maitriyana is deidentified from the nationalist and imperialist policies, because he does not defend the interests of any particular government, only preaching in favor of peace, social justice, education and ecology. Zen Mystic Christianity proclaims that the analytic-existential conjunction of the Being and Nothingness allows the apprentice to deidentify himself from any form of self deception, such as nationalism, fascism, imperialism or ideological totalitarianism. The Maitriyana then points to the Liberation and Self-determination of the peoples, awakening the world to cure the capitalist cancer in the Body of the Earth (Gaia). This reconstruction of a Kingdom of Heavens (Sukkhavati) entails a libertarian transformation of the reality. By contemplatively perceiving the world the subject can touch the hearts of others, which confers a revolutionary Spiritual Discourse within which all human beings can feel and act from Compassionate Wisdom (Karuna-Prajna). The Free and Enlightened Being (Arhat-Bodhisattva) mainly finds sense through helping others, which is the daily task of a spiritual master. By not ceding to the capitalist project he dispenses with any corporate link that goes against the honor of the libertarian meditation, which is always a service to the existence. Facing the rites and ordinary appearances of the materialistic life, the apprentice should understand that these commitments of the Ego are far from the path to the Truth of the existence: the Emptiness. Here Zen Mystic Christianity acts as a form of social purification, by producing itself a collective sequence of events which lead to the Awakening (Bodhi) of the peoples. Given that he is neither a coward nor he is afraid of the loss of prestige, a Free and Enlightened Being (Arhat-Bodhisattva) struggles against conformism at all times, because a sense of inter-existence makes him to protect and save the humanity. In this way, the practice of Maitriyana will never take the risk of losing the compassionate wisdom (karuna-prajna) and being diverted towards evil. The calling of the face of the neighbour is the vote of the spiritual master, which is assumed starting from the essential connection that the Self has with the existence of the other. Answering the call of the neighbour is not then a matter of religious morality, but rather an analytical-existential orientation where Freedom is inseparable from the Grace, the vocation and the Purpose (Dharma). Zen Mystic Christianity supposes the Redemption both through the update of the True Self as well as through a Libertarian Ethics which seeks saving the world. This is because the authentic selfness of the human being is the Nothingness; therefore the subject as an independent agent is an illusion and there is only an interhumanity. The process of the Cure (Nirvana) is fully authenticated under this libertarian orientation of the realization of the compassionate Love towards others. This is the ethical dimension from which the Free and Enlightened Being (Arhat-Bodhisattva) lives. However, this transpersonal ethics comprises implied precepts and principles, dispensing with the classical prohibitions and moral virtues, since actually it is rather a character or a lifestyle (ethos). The revolutionary orientation of the compassion and the Spiritual Love towards all living beings and the Universe in general constitutes the core of the Ethics of Maitriyana. Sitting contemplation (zazen) and the paradoxical dialectic (koan) help very much to form that kind of heart which must be resurrected by an apprentice who is on the Way of the Libertarian Ethics. According to the Zen Mystic Christianity, a subject that has reached the Awakening (Bodhi) perceives that all form is Emptiness and Grace, the reason why the spiritual master experiences each thing in the universe with equanimity. Although Maitriyana does not value or estimate the Ego, considering the separate existence as illusory, certainly it believes that the Purpose (Dharma) of the diversity-in-the-Oneness is highly valuable and precious: nothing less than the learning of the Cosmos. The Zen Mystic Christianity seems to unify itself with this sensation of a cosmic consciousness that is so spontaneous and impersonal wherein each element has an interdependent co-arising (pratitya samutpada), being an important link within the Totality. Therefore, the apprentice should never dispense with the gaze of the neighbour, while it coexists beside him. The compassionate wisdom (karuna-prajña) of the Free and Enlightened Being (Arhat-Bodhisattva) is authentic Spiritual Love, overcoming all the dualisms between the subject, object and the neighbour, since any dichotomy and discrimination is fundamentally illusory. The Discourse of the Spiritual Master is then the abandonment of the selfish interests in pursuit of the welfare of the others and the whole world, saving the humanity from war, poverty, ignorance and pollution. The Purpose (Dharma) of Maitriyana remains described here as peace, justice, knowledge and harmony with nature. But it is also about the search for the beauty and the Truth, claiming for the Cure (Nirvana) in the here and now. The law or principle of the inter-existence is the framework or the general rule of the Free and Enlightened Being (Arhat-Bodhisattva), attending to the call of those who have no face or name, in order to help them to find a genuine identity. In Zen Mystic Christianity the human being occupies an important place in the Cosmos, but never the centre. Thus Maitriyana deidentifies itself from any anthropocentric perspective and it continues with the revolution of Gautama, Copernicus, Darwin and Freud in its attempt to dethrone the Ego of his imaginary pedestal. Consistent with Nietzsche, the spiritual master maintains that the human being is not situated at the same height as other living beings, although he is not the pinnacle of the evolution, but he only is a bridge between the animal and the superhuman. In this regard, humanity is special and important because it has a great potential to reach the Awakening (Bodhi) of the Cosmic Mind, which is the true centre of the Universe, such as Gautama and Jesus did so. This is a revolutionary and libertarian vision of the equality. The Awake and Saviour Being (Buddha-Christ) incorporates and reflects the Totality of nature, before which he is its server and manager. The world can only be liberated and self-realized as a Pure Land or Kingdom of Heavens (Sukkhavati) through the awakened mind (bodhicitta) of the human being. Solely by means of the transpersonalización the apprentice can go beyond what is human, estimating and valuing all living beings by including the whole nature inside his transformed heart. Zen Mystic Christianity is a Way for the subject to become aware of his original face through the sitting contemplation (zazen) and the paradoxical dialectic (koan), incorporating the listening to the call of the neighbour through the libertarian meditation. The Maitriyana can authentically and effectively transform and purify the interior of the apprentice, opening simultaneously to the contemplation of the other in a humble and loving way. At the moment wherein the subject opens to the Emptiness and finds his abode in the Nothing-in-Being, there arises from here an unconditional giving to the neighbour. Once the feelings and the thought have been transformed by the analytical existential practice, the libertarian meditation reforms the conduct and redirects it towards a commitment and fidelity to the world. Although Zen Mystic Christianity does not have the principles and precepts of religious morality, certainly it clarifies an ethical process as caring and reaffirmation of the virtuous practices of peace, justice, wisdom and ecology. This spiritual rationalism relates to the contemporary context and the form in which how compassion can save the world. The Maitriyana then takes the ideals of the own responsibility and of the unbiased kindness towards the whole Universe. Zen Mystic Christianity is a Way in order for the apprentice to reach the Sublimation (Nirodh) of Desire and the evanescence of the neurotic misery (dukkha). This path produces an ethical transformation of the comprehension, thought, speech, action, work, effort, attention and concentration. Without the presence of this ethical transformation, according to Siddhartha Gautama, there is no Cure (Nirvana) and there is no Spirituality. According to the Maitriyana, the ethics (sila) of the Free and Enlightened Being (Arhat-Bodhisattva) is synthesized with the contemplative practice and compassionate wisdom (karuna-prajna); therefore it is not a morality but a righteousness generated through the Mindfulness of interiority and the development of generosity, patience and vigor. From the Discourse of the Spiritual Master, only the ethical transformation of humanity can save the world from the contemporary capitalist context, by constructing a feasible and viable alternative for the future by means of a transcultural ethical framework. Thus, the ethical motivation of the Free and Enlightened Being (Arhat-Bodhisattva) has an analytical tone, an existentialist texture and a libertarian orientation, taking the Purpose (Dharma) of the Awakening (Bodhi) of all beings as the only general principle. Zen Mystic Christianity articulates this Way (Tao) through a dialectic with the thought and the perennial values of Gautama and Jesus, by founding a revolutionary group within the world which can share a transcendental ethical language with the others. Although this positioning of the spiritual master is not comfortable or pleasant, as it implies experiencing the contempt of the Orthodoxy and the global conservatism, certainly it is effective and creative. The Way of Maitriyana has the Cure (Nirvana) as its main preoccupation, by teaching the subject how being able to evolve and Awaken (Bodhi), perceiving the face of the neighbour as a call. From the libertarian meditation, Zen Mystic Christianity clarifies the meaning of the call from the others, considering that the true face of the other is oneself. The neighbor is then the ethical orientation of the paradigm of the Free and Enlightened Being (Arhat-Bodhisattva), thus being an orientation which is based on compassion and Spiritual Love to everyone (even those who offend). Hence the Maitriyana is an Ethics of the purified heart and of the transformed mind as a response to the suffering of the others. The development and the analytical-existential formation of this compassionate wisdom (karuna-prajna) is the instrument of the revolutionary ethics that the followers of the Zen Mystic Christianity should learn in their search of the Salvation (Christianity) of the world. The experience of Maitriyana is composed of spiritual values and principles which conform a libertarian way of thinking and a sublimated Desire for a better world, developing a sensitivity and a practical strategy capable of dealing with the plurality and diversity. Thus, the ethical tradition of Zen Mystic Christianity overcomes the ambiguities and shadows of the religious morality, performing a constant spiritual purification by means of the reevaluation and transformation of the symbols of faith. While the error and self-deception are constant in the religious attitude, the spiritual values and principles act as companions-of-Way for the apprentice. The Cure (Nirvana) of all religiosity consists of unconcealing an openness (sunyata) to the neighbour inside the subject, collaborating with the others in order to transform the planetary society. The Maitriyana clarifies that Spiritual Love is not a feeling but a practice of the being-in-the-world, so the only precept or principle of the Zen Mystic Christianity is focusing on compassion, transforming and awakening the mind (bodhicitta). Compassion is the emotion of the superconscious state, because the apprentice who reaches the Awakening (Bodhi) has emotions and a cognition that include spiritual values and an existential meaning. For the Maitriyana, compassion provokes or brings forth the True Being, thus being a linking movement of appreciation for the event of the neighbour. Thus, if the subject wants to understand compassion he must understand the relationships, motivations and goals of the spiritual master, incorporating a Sense of Purpose (Dharma) to his existence. Furthermore, the compassion operates as a source of intense selfness, which in turn serves as an experience that evokes the spiritual values associated with the concern for the world. The Spiritual Love portrays the personal and vital significance of the Free and Enlightened Being (Arhat-Bodhisattva), which it should be something irrevocable for every apprentice seeking the Salvation of the humanity, since only when the emotions reflect the compassionate wisdom (karuna-prajna) is that can one understand the Truth. The ethics of Zen Mystic Christianity is deeply libertarian because it relates to the construction of a civilization of empathy (einfühlung) and compassion, which is the spiritual symbol of the primordial core of the subject in his psychophysical dimension. Compassion represents the more sublimated Desire, since it relates to the care and the Spiritual Love towards the neighbour, being the perennial experience of altruism and empathy (einfühlung) which is found in a natural form in the life of the spiritual master. As from the tremendous mystery of Emptiness (Sunyata), compassion is the center of the choice of the Free and Enlightened Being (Arhat-Bodhisattva) and it is the place where the hidden divinity of the human being is expressed. The Maitriyana as a whole is a female practice, of an artistic and sublime type, which reaffirms the Mindfulness about the affective and linking world. Thus, the follower of Zen Mystic Christianity must develop compassion, learning to be sensitive and responsible for the humanity. When performing the ethical transformation of the emotions, the apprentice who practices the guiding principles of the Detachment can traverse the threshold which gives way to the Cure (Nirvana) and the spiritual maturity. Although the Maitriyana discards the religious morality for being an illusory field, the Libertarian Spirituality belongs to the practical life of the compassionate wisdom (karuna-prajna), belonging to the realm of the linkages with the world. This revolutionary contemplation needs the utopian vision of a better world, to which the Gautama-Jesus articulation called Pure Land or Kingdom of Heavens. This libertarian vision is a Socially Engaged Spirituality from which compassion is nurtured. The utopian vision is the libertarian meditation which the Zen Mystic Christianity develops when it replaces the symbols of faith, transforming the feelings and the cognition in the light of the call of the Self, of the neighbour and of the world. Ultimately, compassion is the embodiment of the awakened mind (bodhicitta). For Maitriyana, while the human being has compassion he will be able to live with simplicity and wisdom, always speaking from the eternal source that transcends space and time. Completely and definitively renouncing to the domain of the Ego, the subject may have enough space in his interior to be capable to give his heart to others. By overcoming the dark abyss of the Being, the spiritual master exists relegated to the happiness of the Void, glorifying the restoration of the Grace in the world through the Holy Spirit of Compassion. The Free and Enlightened Being (Arhat-Bodhisattva) comforts himself before the suffering feeling that Totality and the tomorrow star live in his heart. Therefore, Zen Mystic Christianity aims to resurface the intrinsic purity and goodness through the contemplative practice of forgiveness. Consequently, the Maitriyana assumes the great spiritual Votes of wanting the Salvation of all living beings, freeing the mind from the deluded thoughts and deluded feelings in order to fully realize from the unfathomable Truth. Although the Way towards the Awakening (Bodhi) of the Cosmos has no end, the Sublimated Desire of the spiritual master is to follow it until the end. From the Gautama-Jesus articulation and the Zen Mystic Christianity arises as a perennial philosophical principle that transcends both materialism and metaphysics, believing that the peoples of the world need to be converted and guided by the Spirituality contained within the process of the Cure (Nirvana). The Maitriyana is an international movement of Spirituality which proposes a new form of personal and social life that contains the most complete teaching about the Real. Although the prevailing forces of the world are capitalist materialism and monotheistic religiosity, these perspectives lack a practice and theory which leads to the Awakening (Bodhi). Catholic or evangelical religiosity is undoubtedly dualistic, rewarding those who have faith in illusions and discriminating against those who do not believe; therefore it does not want or can not keep peace in the world. Instead, Zen Mystic Christianity is a Libertarian Spirituality having the Purpose (Dharma) of peace, social justice, education and ecology. Zen Mystic Christianity teaches that God is an Empty Cosmic Mind, being imperfect, impermanent and insubstantial. The gaze of the spiritual master can clearly perceive this fact, recognizing that the creation of the Universe was produced by a process of repetition (karma) and not by a succession of random events. According to Maitriyana, the Cosmos is a living being, constantly learning diversities of experiences and multiplicities of scenarios, so the apprentice who practices libertarian meditation can develop a special tune with the flowing of Totality. However, Maitriyana is not a mere idealistic philosophy as it is a consequence of the contemplative experience of the Free and Enlightened Being (Arhat-Bodhisattva) who has overtaken the generation cycle of greed, hatred and ignorance in his mind. Unlike the followers of metaphysics or from materialism, the subject who practices libertarian meditation can recognize that the inner world creates the social world. The religious realm is based on the moral duality of good and evil. Instead, the spiritual master clearly perceives the Real teaching that duality is an illusion that can be traversed by any apprentice who practices analytical existential contemplation. The libertarian meditation is the cultivation of a compassionate wisdom (karuna-prajna) which clearly perceives the world in the here and now, reconciling the subject with the experience of the present. In fact, the Cure (Nirvana) is the evanescence of the interference of the past. The neurotic and dualistic mind does not perceive the Totality of the Real, being an incomplete view which represses the traumatic condition that the mind is the creator of reality. The contemplative practice of Zen Mystic Christianity is an effective method in order to clear all illusion and dualism within the field of consciousness. The Maitriyana is a complex articulation of Metapsychology, Metaphilosophy and Metapolitics, not only teaching that the unconscious repetition (karma-avidya) creates a psychic reality within which lies the body, but also concisely transmits how the apprentice can be deconstruct himself in order to self-realize the Dynamic Ground of Emptiness through libertarian meditation. As the dualistic reality emerges from the illusory mind, Zen Mystic Christianity teaches to the subject a Path to the Detachment from the Ego. This analytical and existential understanding of life and death can be redefined as a contemplative science, since it also helps to understand the physical reality of the Universe. Ultimately, after overcoming the false dualism between the inner world and the outer world, the Free and Enlightened Being (Arhat, Bodhisattva) has the Supreme Purpose (Dharma) of the Salvation of all beings, so the compassion is the source of the greatest service towards the world. The Maitriyana is an Integral Spirituality that dispenses with the deceits or confusions of superstition, freeing the peoples to follow a Path-of-life to Awakening (Bodhi). The prophets of the Zen Mystic Christianity, as Aluoben and Jingjing know that this Way dialectically transcends religion and science at the same time it is a Spirituality which is harmonically synthesized with the great Spiritualities of China such as Taoism, Confucianism and Buddhism. The Maitriyana jointly synthesizes all spiritual wisdoms, recognizing the essential and immutable perennial origin of all things. Zen Mystic Christianity of the contemporary world is a Transnational Spirituality that leads the peoples by educating them on the true teachings of Gautama and Jesus, which are based on compassion and Spiritual Love towards all kinds of life. Opposed to the traditional politics which generates war, poverty, ignorance and pollution, the spiritual master vanishes the distorted thinking and incarnates an example of how the Buddhist wisdom can save the world. Whereas the religious superstition generally supports the misleading government policy and the military objectives, Maitriyana has clear regulations which guide towards the presence of the Cure (Nirvana) within society. So Spirituality keeps itself free from the corruptions which often have the religions. The Gautama-Jesus articulation explains to humanity how to peacefully return to a Socialist Era of Compassion by means of libertarian meditation, by concentrating the apprentice around the Dynamic Ground of Emptiness. Zen Mystic Christianity is an antidote to the confusion of both the inside world and the outside world, helping the subject to unify with Totality in order to emanate Compassionate Love to all beings of every planet in the Cosmos. Due to the Free and Enlightened Being (Arhat-Bodhisattva) continuously working for the welfare and the Awakening (Bodhi) of all living beings, the Maitriyana can be used as a revolutionary Force in the political world, showing that the murder of others is only the expression of ignorance and leads to evil. But if the subject practices sitting contemplation (zazen) and paradoxical dialectic (koan) he can eradicate this type of destructive behavior and produce the Sublimation (Nirodh) of the mind. This is a guide of the Way of a Savior and Awakened Being (Buddha-Christ), revealing the Truth in a libertarian manner. Zen Mystic Christianity is derived from a compassionate wisdom (karuna-prajna) of an unlimited and universal nature that is cultivated in the libertarian meditation, which does not avoid the dangers and difficulties involved in the everyday life. The conducts of a spiritual master of Maitriyana manifest a motivation of Spiritual Love and compassion towards all, so they lack any kind of selfishness or discrimination, trying to cause an equitable redistribution to exist within society. Zen Mystic Christianity, as a Libertarian Spirituality which comprises the Truth of the existence, teaches the people the vision of Gautama and Jesus in a direct manner, advising humanity to assume the commitment to protect life. The Free and Enlightened Being (Arhat-Bodhisattva) is an example of what could be an evolved humanity united by the altruistic wisdom, always acting towards the Good of others and nature. This achievement of the spiritual master is due to he has fully understood the True Being of the others. Therefore, the Way of Maitriyana is positive for the society and the whole world. Zen Mystic Christianity is a teaching that transcends the ways of materialism and religion, cultivating a contemplative discipline and an ethical practice. As the Maitriyana -the Way of Reconciliation– is open to all beings; it is a universally useful teaching to all the peoples wishing to achieve the self-determination and the Cure (Nirvana) from the evils of the world. One of the practices of the spiritual master is the libertarian meditation, which is based on the sincere vision of a Greater Community (Datong), Pure Land or Kingdom of Heavens, showing the future Great Awakening (Bodhi) of the world. This direct method is considered by materialism as something merely utopian, but in reality it is a revolutionary practice capable of transforming the present by means of the powerful Mindfulness. Thus, Zen Mystic Christianity dispenses with any blind faith, superstition, magic or imagination, by penetrating into the Dynamic Ground of Emptiness to always act with contemplative wisdom. The Way of the Maitriyana is a supreme Way (Tao) open to all human beings, regardless of their gender or the social class they belong to. The libertarian meditation can be practiced within the family or can be developed in the contact with the natural environment. But through the practice of analytical-existential contemplation, the apprentice understands that the concept of family is not reduced to the biological and that bonds of friendship and fellowship based on compassionate wisdom (karuna-prajna) towards others are much more important. Fulfilling with the spiritual vote of seeking the Salvation of all beings, the Free and Enlightened Being (Arhat-Bodhisattva) is the essence of benevolence. Zen Mystic Christianity is the mother of a meta-religion, but at the same time is the foundation of a libertarian community (Sangha), which supports the Cure (Nirvana) of society. Although people tend to choose between religion and science, Maitriyana shows the light towards a transcendental Third Way. 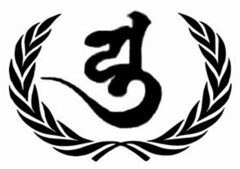 Lacking the limitations of the religious faith in metaphysical issues, Zen Mystic Christianity has the potential to unite the peoples of the world under the flag of compassionate wisdom (karuna-prajna) and the Great Community (Datong). The Maitriyana is an Analytical Existential Libertarian (Buddha-Dharma-Sangha) Spirituality, which frees the subject from monotheism and materialism, leading him to a Gnostic practice and thought. In this sense, the Zen Mystic Christianity is not only a process of spiritualization or purification of Catholicism and evangelism, but also it maintains an essential unity with the three spiritualities of ancient China: Taoism, Confucianism and Buddhism. Through the training of libertarian meditation, the apprentice can Wake (Bodhi) his mind and begin the revolutionary task of helping the world that abandons the superstition and reaches the Cure (Nirvana) of war, poverty, ignorance and pollution. Arul Maria Arokiasamy, ¿Por qué Bodhidharma vino a occidente? La Transmisión del Zen: problemas, peligros y promesa. Adrian Chan-Wyles (Shi Da Dao), Xu Yun’s Letter to Chiang Kai-shek.